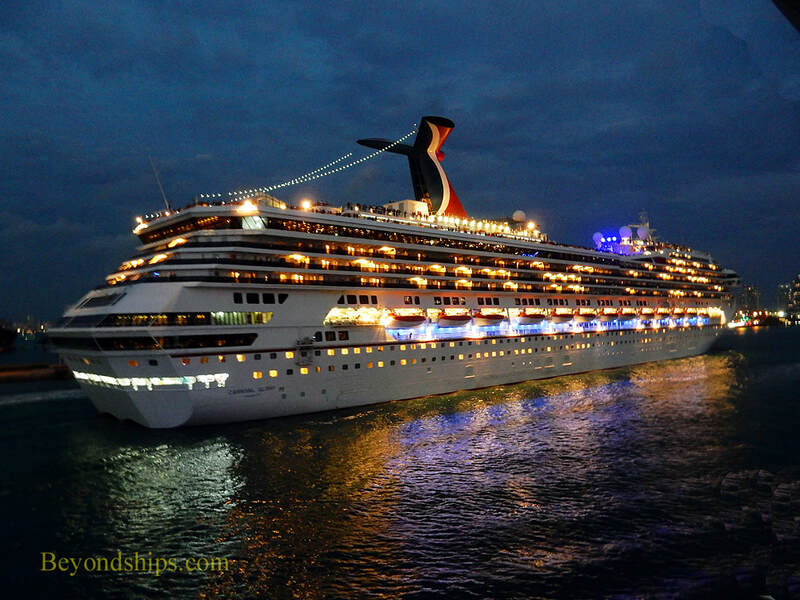 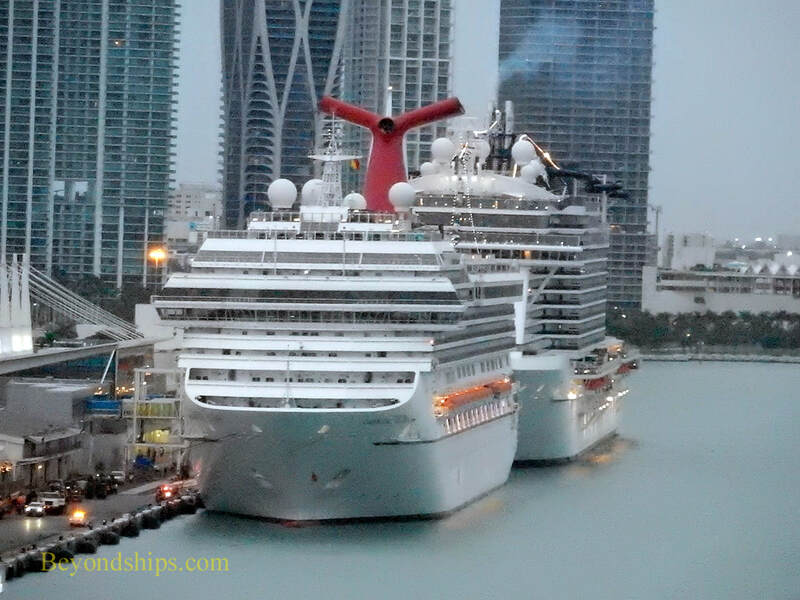 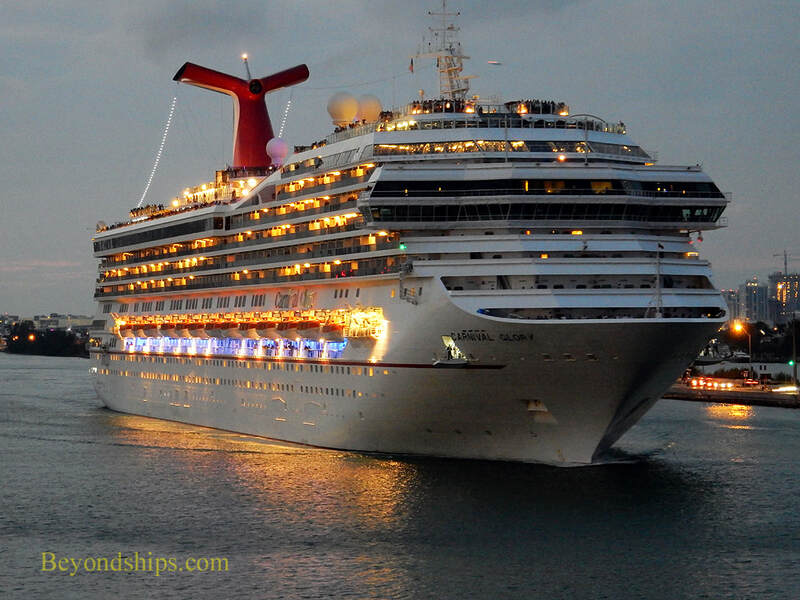 Darkness is falling on Miami as Carnival Glory gets ready to depart on a winter cruise to the Caribbean. 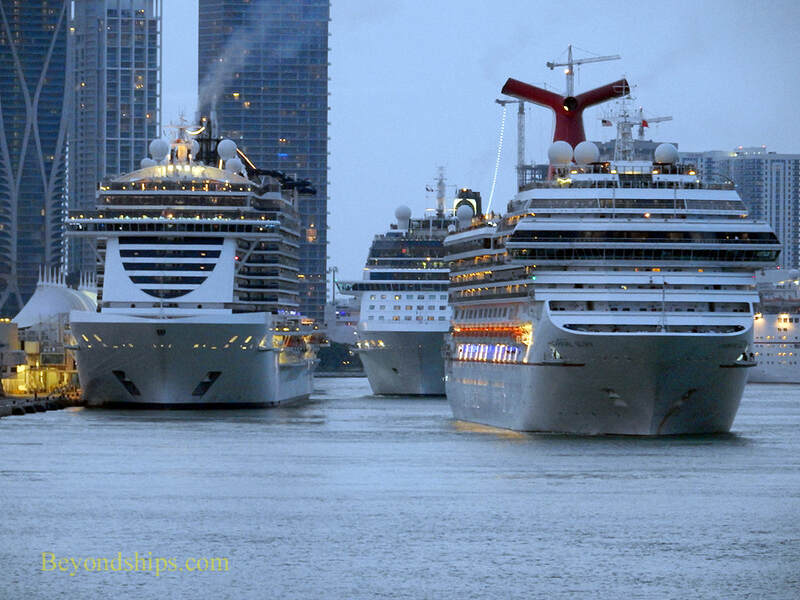 ​The Glory casts off and enters the channel ahead of MSC Seaside and Celebrity Equinox. 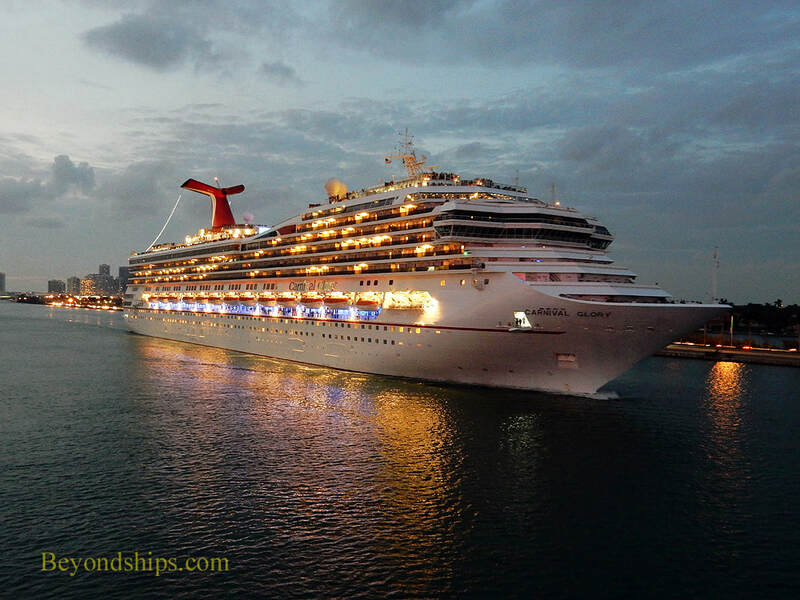 The fading Sun adds color to the excitement of a cruise departure as Carnival Glory sails along Dodge Island on her way to the sea.